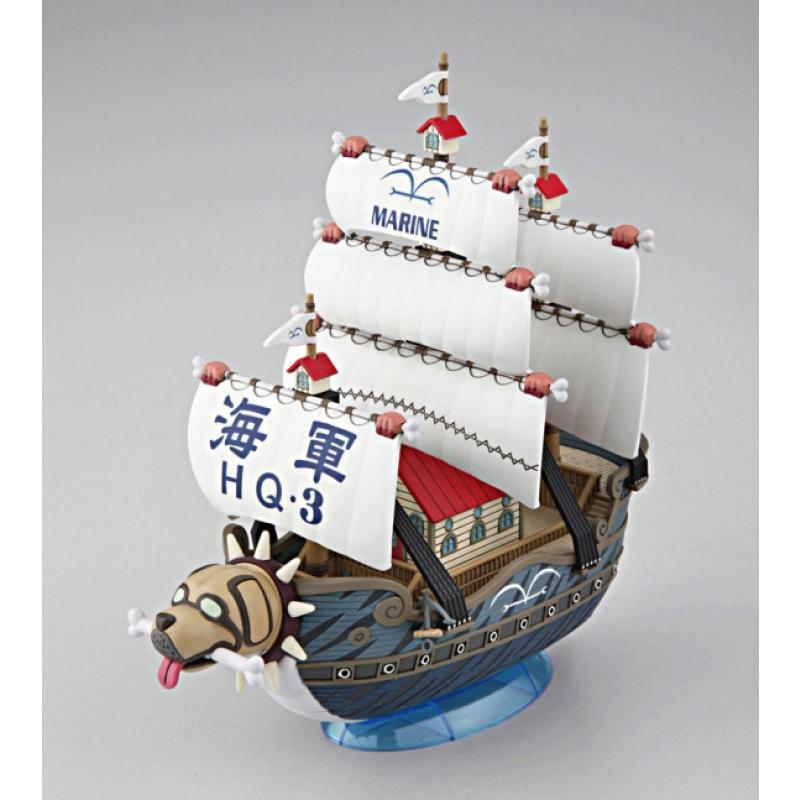 This ship's crow nest is shaped like a dog house, with a figure head of a dog head, which has a bone in its mouth. 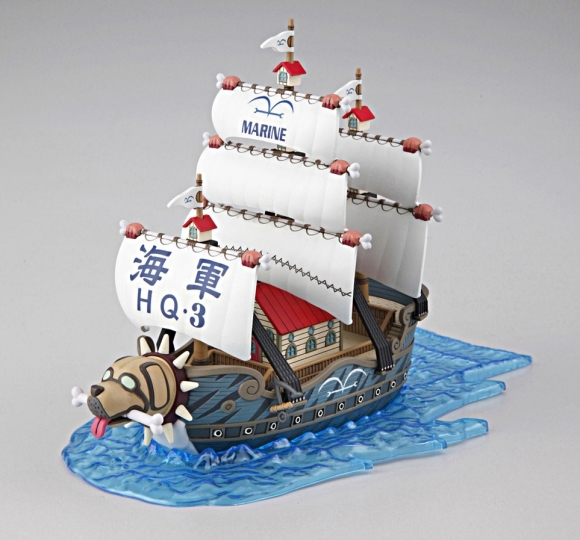 There are many sails for this ship, with the masts shaped like bones with dog-paws. 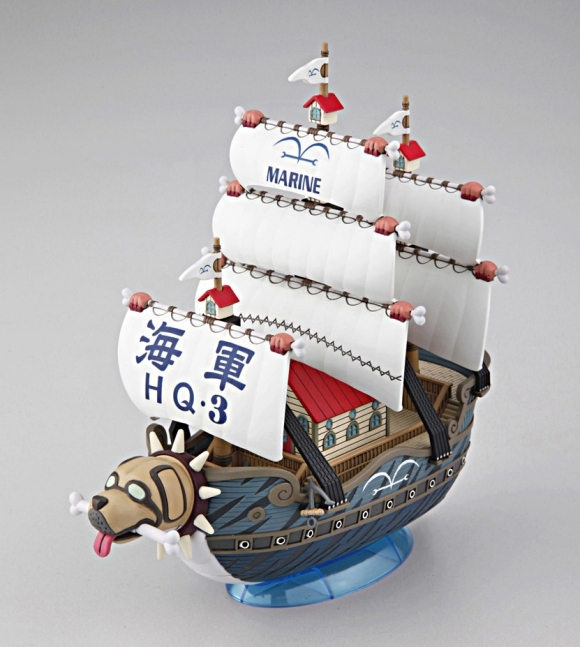 The vessel overall has a dog theme, similar to Garp's mask. 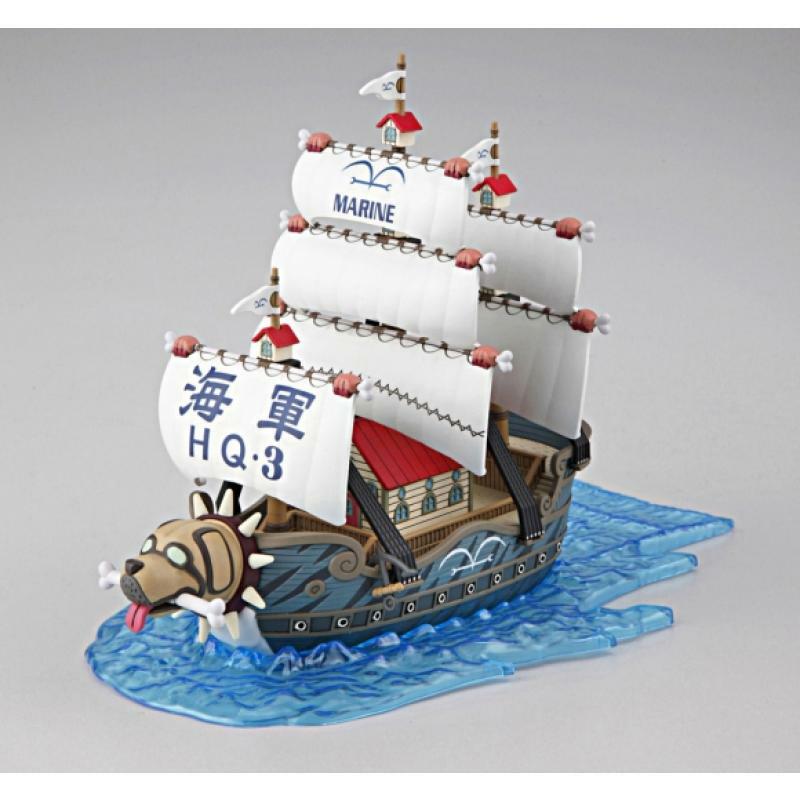 This ship has many large cannons, and its size is big, compared with a standard marine ship. Its size is comparable to a Buster Call warship. 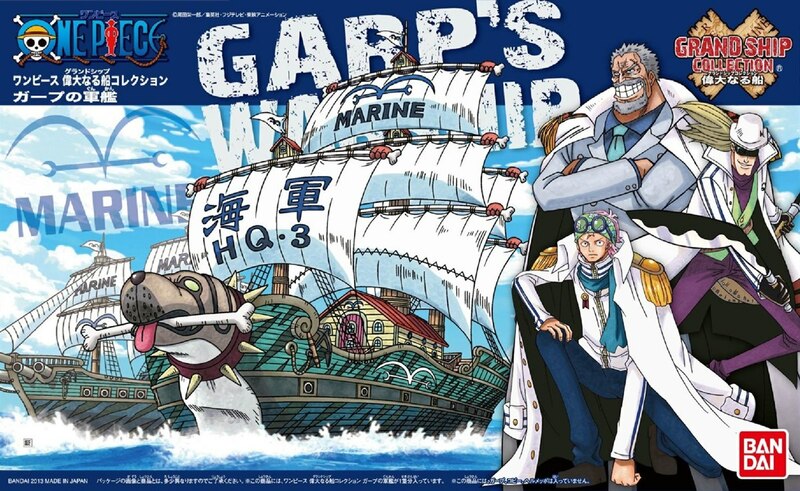 There are also conveyor belts on board of the ship to supply Garp with cannonballs. The ship has many large cannons, which can easily overwhelm an average ship. 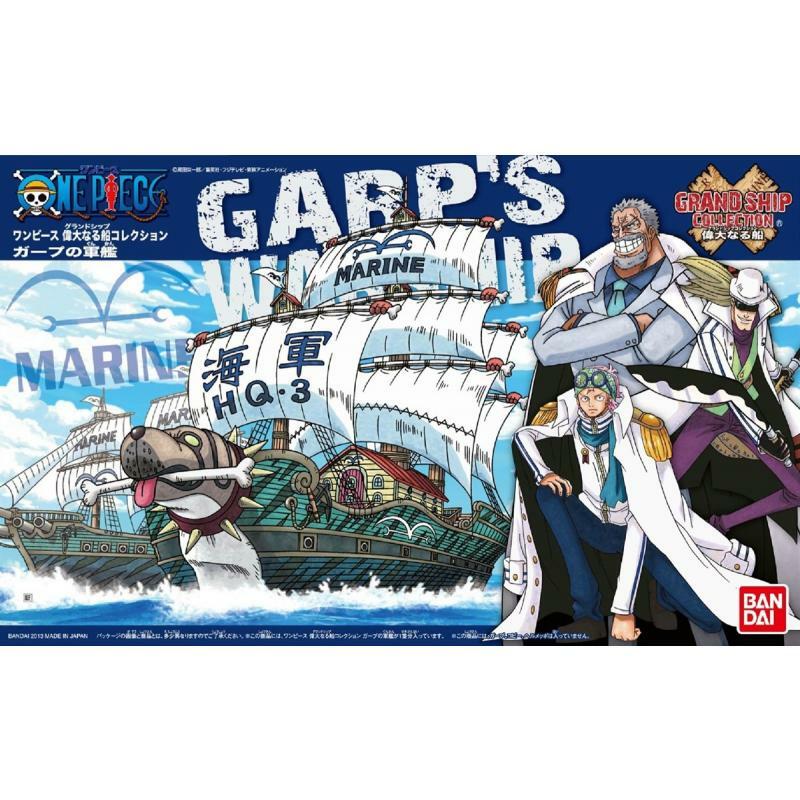 Also, with Garp's superhuman strength, he can launch over 1000 cannonballs at his opponents with the force stronger than an actual cannon from the ship, as well as hurl a gigantic ball that is bigger than the Thousand Sunny.